At our practice we believe it is always best to save a tooth rather than having it extracted. That is why we recommend out patients to have root canal treatment in Orangeville when the tooth is badly damaged or infected. The root canal treatment procedure involves removing the pulp of the tooth, cleaning and disinfecting the canals then filling and sealing it. We are happy to provide the service of having a root canal treatment in Orangeville. Common causes that affect the pulp in a tooth are when the tooth is cracked, when there has been trauma to the tooth or if the tooth has deep decay. In some cases, you may be referred to an endodontist (specialist). Otherwise you can have this procedure completed here. 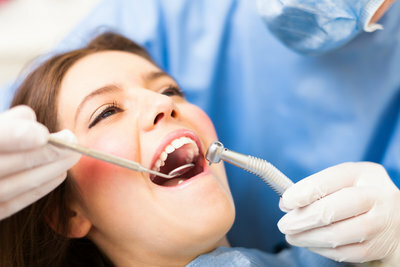 With proper care a tooth that has had root canal treatment can last a long time. This would require you to maintain regular oral hygiene visits, as well as placing a crown over the tooth since the tooth is no longer vital and not as strong as it used to be. If you have experienced the loss of a tooth, you are aware of the inherent changes to your dentition. Your facial structure changes, upper teeth may over erupt, eating and speaking may be altered and of course the loss of confidence that comes with having a gap in your smile. Your teeth stimulate bone growth. If a tooth is not replaced, you will inevitably suffer bone loss. This can change your facial features and create a collapse of structural support. Some of your teeth may shift into the space created by the lost tooth. This can cause a bite problem (malocclusion) and possible pain. You also limit the ability to eat healthy foods such as raw fruits and vegetables due to lack of teeth. To learn more about root canal treatment in Orangeville, please contact Lord Dufferin Dental Center to set up an appointment with one of our dentists.